AmazonBasics are the batteries I use in all my gear, from flashlights to radios, digital cameras to smoke alarms. They are also my first choice for long-term storage. Also available in various sizes: Rechargeable Batteries! 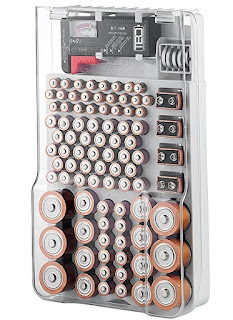 Stay organized with this Battery Organizer Storage Case - includes a removable battery tester. 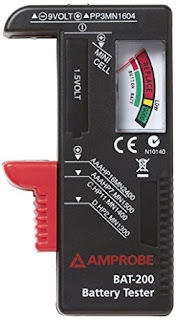 Amprobe BAT-200 Battery Tester - tests regular and rechargeable batteries, including AA, AAA, C, D, 9-Volt, and 1.5-Volt button type.